Best Matching Results: Mirugasirisa, Punarpusa, Ayilyam, Poorva, Uthira, Chittirai, Visaka, Jyestha, Uthrasada, Dhanistha, Uthrabhadra and Revathi. Worst Matching Results: Kiruthigai, Ayilyam, Magham, Chittirai, Visakam, Jyestha, Moola, Dhanistha and Sathabisham. 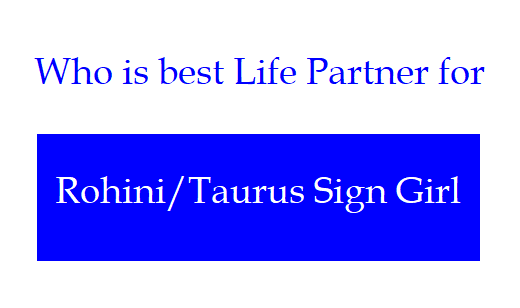 Boys capable of luring the Rohini/Taurus Sign Girl: Virgo.